Kinson and Birch is a roofing company built on reputation. We believe our customers deserve the utmost respect and care. We also believe that working with any form of tradesmen should be a positive experience, not a painful one. If you share these values, then you can trust us to take care of your roof. We live in a world filled with rogue traders. And our industry has (quite rightfully) gained the worst reputation of any trade. Trust and Integrity are at the heart of everything we do. You can trust us to tell you the truth and to follow through on our promises. Because our reputation is always at stake, a quality roof is the absolute minimum you can expect from us. All our installations carry a free insurance backed guarantee for total peace of mind that you are covered by a guarantee that actually means something and is not "null and void" if we are no longer in business. 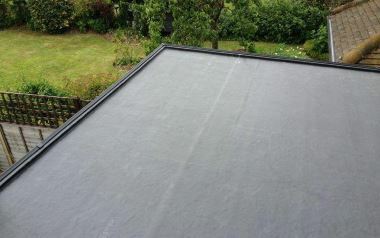 On flat roofs we specialise in the world renowned Firestone EPDM flat roof system with a life expectancy of over 40 years. We work together as a team, sharing our successes and failures. As a customer, this has a powerful effect on the quality of work and service you receive. To our knowledge, we are the only major flat roofing business in London in which our employees all share in the success of the company. If you are looking for a cheap fix, you should look elsewhere. However, if you share the same values as us, and are looking to get your roof sorted, you are definitely in the right place. Firstly, thanks for the advice and time taken by yourself and Adrian to help me understand the problem with our roof. Just to let you know, Nicky and Jamie finished the whole job in a single day – just like you said they would. 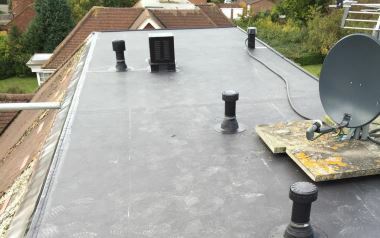 They were also very tidy and polite and I can now see why you are known as the really reliable roofers. The staff were brilliant, from quotes to advice, survey and installation. Lewis and Nick were perfectly prompt, they worked neatly and we hardly noticed they were there. I’ve recommended you to several people already as a roofer in High Wycombe. After two previous and expensive attempts to stop my flat roof leaking by other roofers, I decided to ask you to change the roof completely. Your chaps turned up on time every day and just got on with the job and overcame any problems. 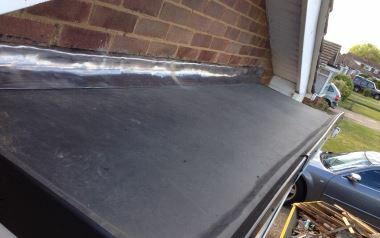 The job looks great, I can now confidently use the extension without worrying about leaks from the roof.